The City of Harrisonville is excited to announce that the Street Department’s 2019 Sidewalk and Curb Program will begin on April 8. In February, Terry Snelling Construction won the bid for the project. 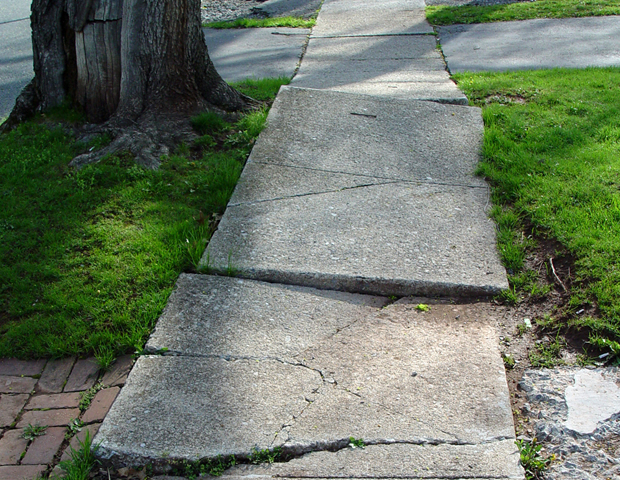 During the project, crews will be taking out damaged sidewalk and curb and replacing it. Crews will begin their work Monday in the northwest portion of town, on Delmar Street and Hillside Drive. They will also be working along Prairie View Drive, Easton Street, Leewood Road and Crestwood Drive, beginning Monday. On Tuesday, crews will also begin work in the parking lot located on the southeast corner of Independence and Mechanic Streets. During the project, not every portion of curb or sidewalk on a road will be replaced but, on Monday, work will be done along the entirety of Hillside; from Crestwood to Delmar. No roads will be closed but residents may have limited access to driveways and sidewalks and be unable to park along curbs, while crews are in the area. After work is completed in a neighborhood, crews will announce where they plan to work next. Residents living in areas where work will be done will be notified 48 hours in advance. Missouri One Call System will also be out marking utilities at least three days in advance of work in a neighborhood. Residents with special requests are asked to present them to the contractor. Those with concerns may call Streets Department Superintendent Rodney Jacobs (816) 380-8951.